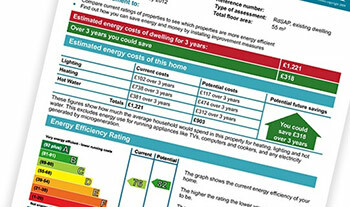 From the 1st April 2018, there will be a requirement for any properties rented out in the private rented sector to normally have an energy performance rating of E or above on an Energy Performance Certificate (EPC). The regulations will come into force for new lets and renewals of tenancies from 1st April 2018 and for all existing tenancies on 1st April 2020. Any property that is rented out which breaches the requirement for a minimum E rating will be unlawful and could face a civil penalty of up to £5,000 unless there is an applicable exemption.